We know — tax season isn’t anybody’s favorite time of the year (except, of course, for tax accountants). But if you’re expecting a refund, now is a great time to reinvest that money in your home. Whether you’ll be getting a check for a few hundred dollars or a few thousand, there are great ways you can put that money to good use. Are you hoping to buy a home in the near future? As you probably already know, you’ll be expected to put down a down payment — anywhere from 3.5 to 20 percent or more of the purchase price. If you’re expecting a refund in the thousands of dollars, adding it to your down payment savings account is a fantastic way to get yourself closer to home ownership. And if you manage to save more than 20 percent, you’ll eliminate the need to buy mortgage insurance, saving you even more money down the line. Even if you have a great rate on your mortgage loan, making an extra payment will still help you save money in the long run. By paying off more of your mortgage early, you will pay less interest over time. You’ll build equity more quickly and will own your home outright sooner. You may also be able to eliminate the cost of mortgage insurance once some of your loan has been paid off. An inevitable part of owning a home is also purchasing homeowner’s insurance. This protects you from liabilities should someone get injured on your property and sue you. Unfortunately, most homeowner insurance policies are not comprehensive. By purchasing umbrella insurance, you get additional protection once your primary insurance coverage limits are reached, and as an added bonus, it also applies to your vehicles. For around $300 a year, you get about $1 million in coverage. It’s a very small price to pay for peace of mind. Leaky windows, drafty doors and energy-hogging appliances all needlessly eat up your money. 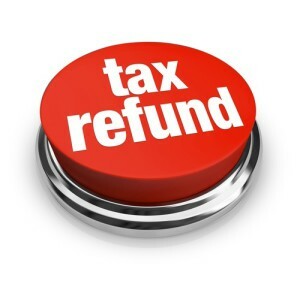 If you’d like to find ways to cut your energy costs, consider using your tax refund for a home energy audit. While there are free programs available from many local power companies who will send out a professional to look at your home and offer advice about where to make changes, the biggest bang will be to hire a private firm to do a comprehensive audit of your home. While you’ll be paying more up front, the audit is much more detailed and could potentially save you up to 30 percent on your energy bills should you decide to implement their suggestions. If your refund is less than $1000, perhaps one of the best ways to use it is to make some needed home repairs that you’ve been putting off. You can repaint, add some new landscaping, buy a programmable thermostat or finally organize your garage. The money spent will go a long way to contributing to your overall enjoyment of your home. While it may be tempting to splurge on a big treat, spending your tax refund wisely on your home can improve your financial health for the long haul.